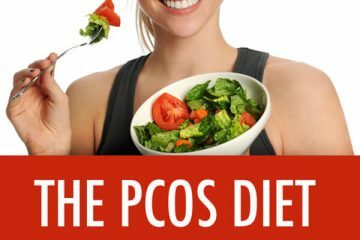 The exact cause of PCOS is unknown, but it is considered a hormonal problem. Androgens: Androgens (“Male Hormones”) are produced in all females, but there are often higher levels of androgens in women with PCOS. Excess androgens are produced by ovaries and are responsible for many PCOS symptoms including acne, unwanted hair, thinning hair, and irregular periods. Insulin: Insulin allows the body to absorb glucose (blood sugar) into the cells for energy. 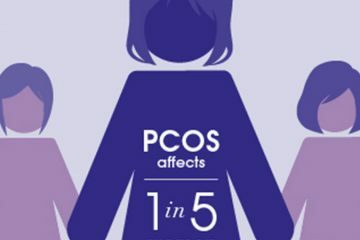 In women with PCOS, the body becomes unresponsive to insulin as it should be. This leads to elevated blood glucose levels and causes the body to make more insulin.Too much insulin can cause the body to make more androgens. Progesterone: Progesterone is a steroidal hormone which is involved in the menstrual cycle, pregnancy, embryogenesis of humans and species. This hormone is essential because it is a precursor to aldosterone and cortisol, which are essential for life. It is a precursor to all the steroid hormones, including estrogens and testosterone. Progesterone works to synergize the actions of estradiol in the female organs, especially in pregnancy. It is necessary for proper uterine and breast development and function. In PCOS, there is a lack of progesterone which contributes to irregular periods and menstrual cramps. 2. Hirsutism: Excessive Facial Hair Growth. 6. Darkening of Skin, particularly along neck creases, in the groin, and underneath breasts. 7. Skin Tags, which are small excess flaps of skin in the armpits or neck area. Weight Loss is very important in PCOS as excess levels of testosterone is linked to higher rates of insulin resistance, which causes more deposition of fat, especially around the abdomen. 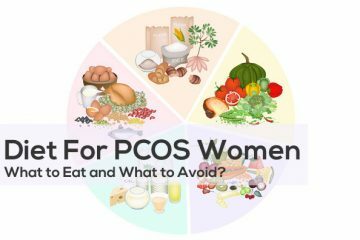 And when a woman with PCOS, starts gaining weight, it further increases insulin resistance, which again promotes the production of testosterone, so it’s a kind of vicious cycle, that may lead to Diabetes. Diet for PCOS patient should not be hight in refined cereal as it will increase insulin resistance. One must include high protein food like chicken, dals, paneer etc. So that it should give satiety and one must not feel frequent hunger pangs. One must include foods that are rich in phytoestrogens to balance the hormone production like soya, flaxseeds, fenugreek, barley etc. Exercise, especially of the pelvic region, is important for PCOS so that fat should not get deposited in the abdominal region. One must do the brisk walk, jogging for 30 minutes and stretching for 15 minutes. If you are trying to lose weight while suffering from PCOS, watch weight loss tips for PCOS by Shikha Sharma (Doctor). For Personalised PCOS Management Plans, you can always call Dr Shikha’s NutriHealth at 011-46666000. You can also chat with our experts here. Hi! You can mail your details to ask@drshikha.com or WhatsApp us to +91 8447839546.